Auditions are held as required. 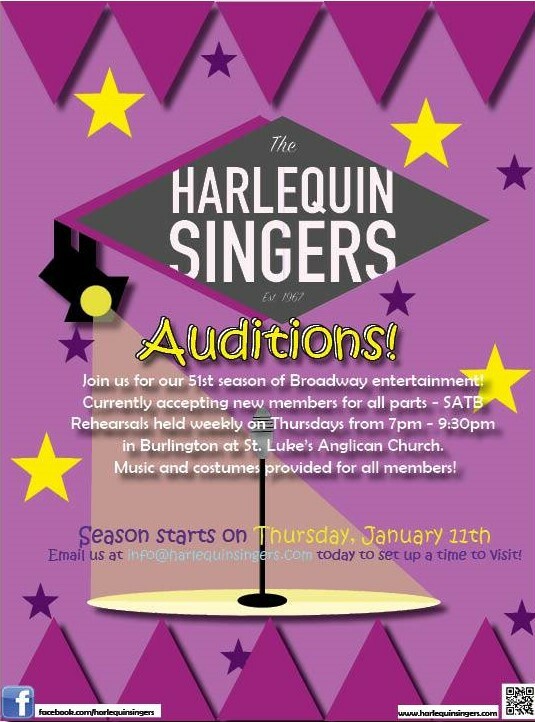 Interested singers may contact info@harlequinsingers.com. As music scores are not used during performances, we require members to memorize the music and lyrics. Taping of music for rehearsal purposes is allowed. Concert wardrobe and music scores are provided to members. The choir takes a summer hiatus during the months of July and August.